Here we have a TR5. 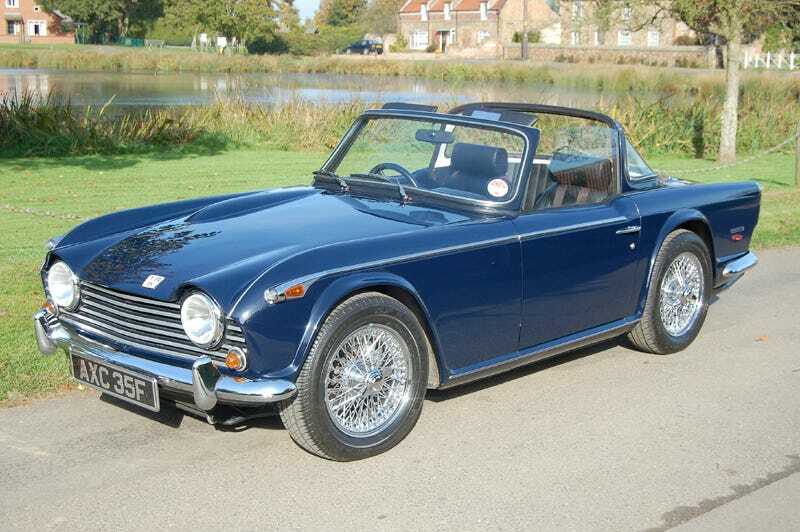 Made for just a year in the late 1960s, the TR5 has the distinction of being the first British car and one of the very few at the time to have fuel injection. Quite a number survive and if you want a decent one it's likely to set you back something approaching £35 or £40,000, a figure which surprised me too.